As the parent of a teen driver, you may prefer that your child drive a new, as opposed to used, car. New cars typically include more improved safety features and your child is less likely to get stuck on the road due to a mechanical malfunction. Unfortunately, with the higher price tag that goes along with a new car, higher insurance rates are also part of the equation. It is therefore important that you choose a new car that comes at a reasonable price but that has a high safety rating, as calculated by theInsurance Institute of Highway Safety (IIHS). The new safety ratings for this year's cars are in and are worth reviewing. After all, what can be more important than the safety of your child? What Are IIHS Safety Ratings Based On? The Insurance Institute of Highway Safety is a nonprofit group that is dedicated to facilitating the reduction of deaths, injuries and property damage in traffic collisions. Vehicles that earn good ratings in all five categories earn a Top Safety Pick designation. What Are Today’s Top Picks for Teen Drivers? We based our list of the top eight picks for teen drivers on a number of factors, including the most recent safety ratings by the IIHS, price, gas mileage and average insurance rates for that particular vehicle. Safety considerations were given the most weight. Consider one of the following when shopping for a new car for your teen driver. This car is ideal for many teens. With its stunningly low Manufacturer's Suggested Retail Price (MSRP), it enables parents to purchase a new car at a used-car price. 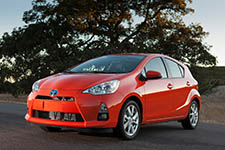 Though it is a sub-compact vehicle, it scored well enough in safety ratings by the IIHS. 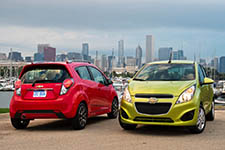 Best of all, the car gets excellent gas mileage, is easy to parallel park, and comes in a variety of fun, edgy colors. For environmentally-concerned parents who wish to contribute to lower emissions (and for those concerned with the rising cost of gasoline), a hybrid car may be the best choice. In the category of smaller hybrid cars, the Toyota Prius beat the Chevy Volt, which also received excellent safety ratings, because of its lower price tag, better mileage and lower insurance rates. 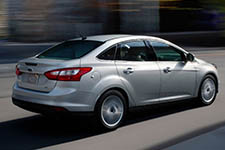 Also available in an electric version for a much higher price, the Focus scored magnificently on IIHS safety tests. This car is stylishly designed and comes in a variety of bold colors that are sure to appeal to your teen driver. For those who live in parts of the country with heavy snowfall, wintertime can be a worrisome time for parents who have children driving on the roads. 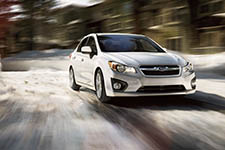 The all-wheel drive Subaru Impreza does an impressive job of handling hazardous road conditions. This vehicle is also available in a hybrid version for a higher price. Both versions of this vehicle get excellent ratings from the IIHS. Its sleek and stylish exterior is appealing to drivers of all ages. While the 2-door Accord scored equally well in safety ratings, the 4-door version is less expensive to insure. This car boasts great safety features and has a long history of reliability and good performance. 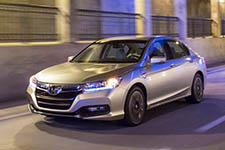 It is little wonder that the Accord is among the best-selling cars in America today. 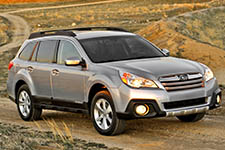 The Outback has been a reliable vehicle for getting through hazardous road conditions for years. 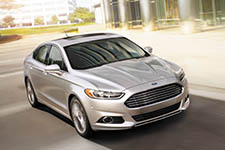 It also holds the distinction of being one of America’s least expensive vehicles to insure. With its moderate sticker price and high safety ratings, this is one car that parents can feel secure with their kids driving. Some parents just feel safer knowing that their child is behind the wheel of a larger, heavier vehicle, and indeed, small SUVs can be a good choice. 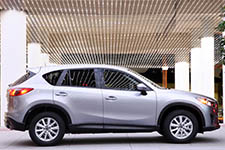 The Mazda CX-5 is an extremely efficient SUV that is more reminiscent of a car than a truck. It is an excellent choice for any teen driver. There are a number of other vehicles that received excellent safety ratings from the IIHS but did not make our list. They all have merits that make them worth looking into. We encourage you to consider any of the IIHS highly-rated vehicles for your teenager. When it comes to insuring your teen’s car, choosing a car with high safety ratings is the first step toward ensuring a reasonable rate. Teens can be expensive to insure, so it is important to take advantage of any savings you can get. An agent in the Trusted Choice® network can help you compare a number of different insurance quotes as well as help you find discounts such as a good-student discount. Contact an agent to learn more.